Staggering Commentary 223: Doctor Who - Kerblam! Can we talk over Doctor Who for you? 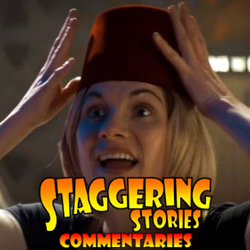 If yes, then the Staggering Stories Audio Commentary #223: Doctor Who - Kerblam! is now available! Could it be more madness than making Thickie Holden a mass murderer?